Disney isn't in the business of taking risky gambles, and why should they? They have Marvel, Disney, Pixar, and flying somewhat under the radar are the vastly successful line of live-action remakes, reboots, and sequels. 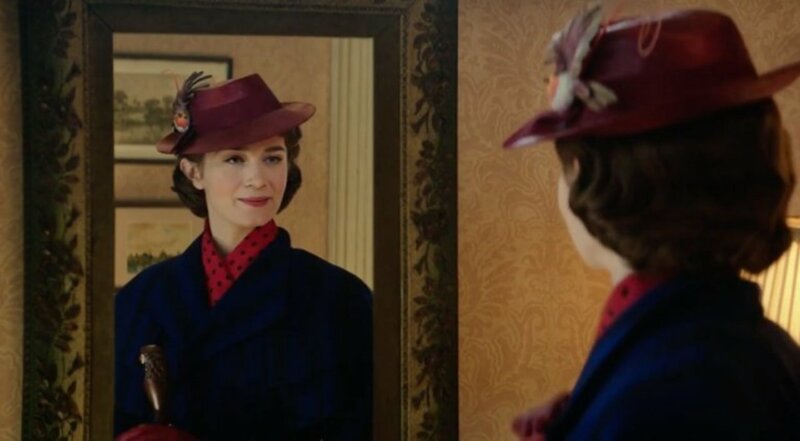 The Mouse House has learned how to maximize value from some of their oldest, most recognized properties, and now we're being introduced to another one with the first trailer for Mary Poppins Returns. The teaser arrived last night during the Oscars while Lin-Manuel Miranda and Emily Blunt were on hand, looking like they had just walked from the fairy tale movie itself. The film, which is directed by Into the Woods director Rob Marshall, is a sequel taking place years during the after the original with the kids now grown up and finding that being an adult isn't all its cracked up to be. When times get hard, that's when Mary Poppins returns to their lives to spread a little bit of magic. Miranda brings his singing, acting, and songwriting talent as lamplighter Jack, with Emily Mortimer, Ben Whishaw, Colin Firth, Angela Lansbury, and Meryl Streep on board. That's a Hell of a cast. And this trailer is just as sweet, hopeful, and magical as we could have hoped. But if the songs don't bring it, then the whole thing could crumble. No pressure, Miranda. Mary Poppins Returns opens Christmas Day.